This "Historically Speaking" column was published in the Exeter News-Letter on Friday, March 30, 2018. 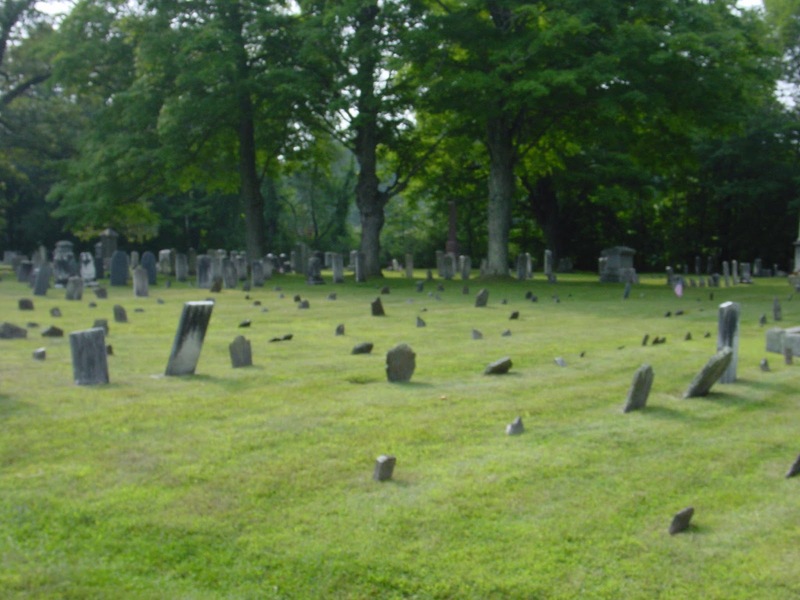 Exeter, September 27th, 1735: “The first that died with us was August 2nd, James Dudley’s daughter – since which 50 have died in this place mostly with this dreadful sickness & mostly little children.” The unnamed letter writer was living during a colonial epidemic that began in Kingston, New Hampshire and travelled up and down the east coast. These were days before antibiotics, before there was an understanding of germs, before people knew that diseases were contagious. Epidemics were well known in Colonial America. Smallpox was endemic, measles killed with great regularity, scarlet fever seemed to come and go with the seasons. But some people survived these illnesses. Folk tradition in Kingston places the beginning of the outbreak in April 1735, when Joseph Clough skinned a pig, which had died of a throat ailment. Clough himself became sick and later died of a similar sickness. A few weeks later, a neighbor child died of the same sickness and within a week three children in the same family died of an illness characterized by fevers and strange spots in their throats. They called it “Throat Distemper” using an old word to describe a new illness. 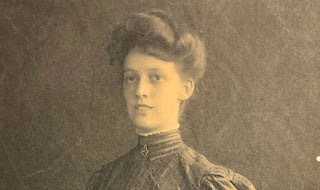 Other throat ailments – what today we might call strep or tonsillitis, had names like ‘throat canker’ or ‘quincey.’ ‘Distemper’ was used to describe a misalignment of health. Something was off – the humors were unbalanced – it was a distemper. In Kingston, those who came down with this strange throat ailment nearly always died, and as our letter writer pointed out, most of the victims were children. The minister in Kingston was Reverend Ward Clark. As members of his congregation fell ill, he visited the homes, praying with each family – laying hands on the feverish child. A local doctor might also visit. Like the minister, he would offer comfort but had little practical help available. Medical theory of the time called for balancing the humors through bleeding and purging. The scourge must be released from the body. The sick children would become more and more dehydrated as fluids were withheld and weaker and weaker as blood was drained from their bodies. As their throats began to swell, a pseudo-membrane would form, cutting off breathing and essentially suffocating the child. There were no thoughts of isolating the patients. Children slept four to a bed. They attended school together. They were placed together in pews at church. They were asked to carry the bodies of their deceased friends to the graveyard as a reminder of their mortality. They were told not to mourn because to mourn the dead was to turn away from God. And the comforting ministrations of clergy and doctors served to spread the disease from one family to another. In 1939, Dr. Ernest Caulfield wrote a short treatise called, “A True History of the Terrible Epidemic Vulgarly Called the Throat Distemper Which Occurred in His Majesty’s New England Colonies Between the Years 1735 and 1740.” His carefully compiled statistics tell a story of heartbreak. The throat distemper spread throughout New England and returned cyclically in the next decade, although it never again reached the levels of 1735. All of the New England states were affected, but New Hampshire was hardest hit. Exeter suffered 127 deaths, with 105 of them children under the age of 10. Kingston, with a small overall population, lost 113 people, 96 of whom were children. The town that suffered the most was Hampton Falls, a tiny community compared to the others. It saw 210 deaths, 160 of which were children. Barbara Rimkunas is curator of the Exeter Historical Society. Support the Exeter Historical Society by becoming a member! 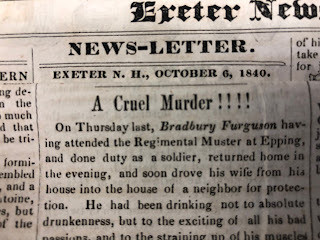 Join online at: www.exeterhistory.org. 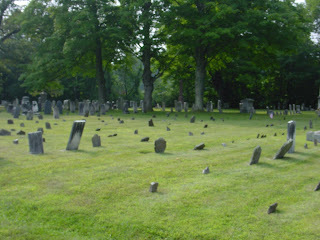 Photo: Plains Cemetery in Kingston. Many of those who died in the Throat Distemper of 1735 are buried under these illegible grave markers.